(b) I had forgotten to change from my work shoes back to my boots. I do this twice a day, every day, and yet...I forgot. My life could be written up in a dissertation entitled: The Aging Brain: A Study in Futility. I mean, did you ever? I'm so thrilled. I can drink these without any sweetening whatsoever. They are already happily ensconced in my office. I wasn't at the mall nearly as long as I thought, so I had time to pop by JoAnn's on my way home. I needed buttons for Mike's cardigan, because THAT BABY IS OFF THE NEEDLES!!! It is DONE! Well, almost. The pieces are knit and blocked, but they have to be seamed together. "Ok Honey, but the sweater IS navy blue. Wouldn't you like a coordinating contrast? Gray? Tan? Maybe go wild and crazy and get, oh I don't know, light brown?" "Brown?" *look of horror* "Navy blue, please." And so I stopped at JoAnn's and got the plainest, most boring navy blue buttons you can possibly imagine. They were so bland they cost $1 per 3 button package, the least expensive buttons in the display. For a woman who usually buys handpainted buttons shaped like acorns or alpacas this was difficult to do. I brought them home to show Mike. Mike made dinner, dear soul that he is, mustard chicken with rice, and the children gamely ate some of it amidst cries of "What is *that red thing*? A pepper! GROSS!" Kitchen clean up followed, and then Mike left for an audition to a community play he was interested in. I got the kids ready for bed, and wrangled Anne into her crib, no easy feat these days. "Mommy read me a story!" "Mommy I need my *pink* blanket!" "Mommy can I sleep with Teddy?" "Mommy, I don't want Ernie in my crib!!" "Ok Honey, I'm blowing you a kiss, good night!" Finally, she is taken care of and settled. I grab a shower while Henry watches Regular Show. I get dried off and jammied up, and plead guilty to watching an episode of Regular Show with Henry and enjoying it. It is now Henry's bedtime. "Ok Honey, go brush your teeth." "Mommy, my toothbrush is all gross and ready to be replaced. Could you go up and get me the new red lightsaber one I got for Christmas?" "Why can't you go upstairs and get it?" I trudge upstairs, wondering why we don't impose a 6 pm bedtime on days when Mommy is especially tired. :0 As I walk down the darkened hallway to the upstairs bathroom, which lies immediately beside Anne's bedroom, my foot painfully hits something. A swear word passes my lips as I realize I am powerless to stop the subsequent loud BANG! against the adjacent radiator. Has she lost her mind, what is she talking about?! I am referring to this little ritual that Anne has devised. Every day, she insists that she has to leave this pile of hardcover books right in the entryway to the upstairs bathroom "for Mr. Potato." Mr. 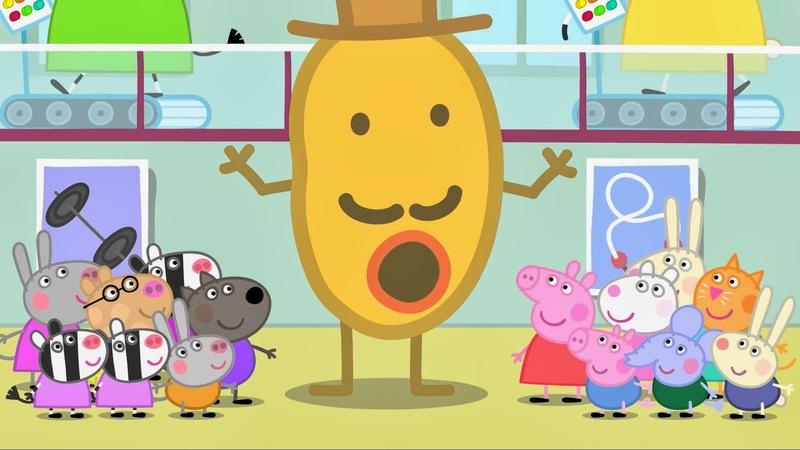 Potato is a character in the fabulous British cartoon Peppa Pig. She loves him. And she leaves books for him. In the bathroom. I'm not sure if Mr. Potato is supposed to *read* them, or manifest on them, or what. But everyday she makes this pile. And now I have knocked them over, injured my foot, and they have banged loudly against the radiator almost immediately outside Anne's door. I swear again, just for good measure. I grab Henry's new toothbrush and hurry downstairs. As I'm readying his asthma medicine for the night, I hear it: the sound of a monologue coming from Anne's room. My little escapade in the bathroom woke her up. WHY HAS GOD ABANDONED ME?! I hustle Henry upstairs, forcing him to tiptoe up the stairs all crazy the way I do, to avoid the squeaky spots in the floor. I get him in his room and read him the story of St. Patrick as he gets into bed, our nightly saint ritual. 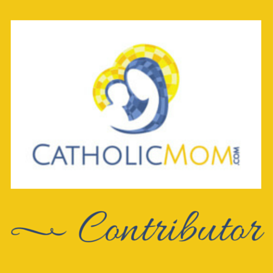 He reads an excerpt out of one of his St. Joseph picture books aloud, as is also our custom. He's currently reading about Padre Pio. As I tiptoe out of Hank's room, I press my ear to Anne's door. All is quiet. God loves me again. ANDDDDDDD, that was my evening! How was yours? Those teas also sound wonderful! I had some chocolate hazelnut tea that was just the most delicious thing ever w/ a splash of milk! Those teas sound wonderful! I used to buy chocolate hazelnut tea, that was so delicious with just a splash of milk! enjoy!